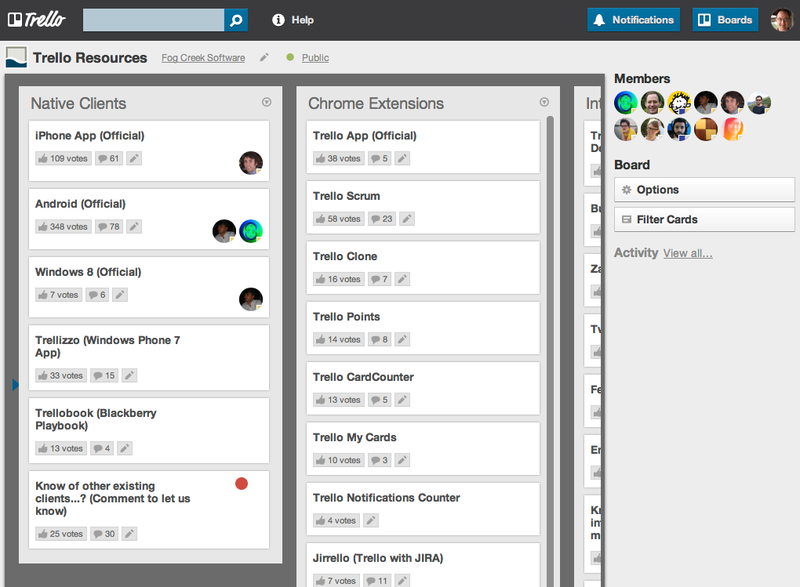 I love working with Trello. Compare the free and cheap project management tools out there, and Trello can compete. More nimble, dextrous, and powerful than most. For free. Effective. Elegant. User-friendly. Excellent in most every area. In beauty, though — it’s only passible. Having just tried and compared many alternate services, I’ve come back more committed to Trello, and determined to enjoy it more as well. So I’ve added some custom styles — and found my love has grown. Of course this is largely a matter of preference. But I’ve knocked off corners and borders, made avatars round, added some white space, gone largely gray-scale — and, well, see for yourself. If you like it or would like to innovate on it, here is a Gist of my styles. You’ll need to add the styles to your favorite browser, as user styles made specific to the domain: https://trello.com. To help with this, use a browser extension for your favorite browser. Cross-browser testing is a pain. Jonathan Snook walks us briskly through one of the most effective and efficient ways to approach it — provided you have a budget for licenses of VMWare Fusion and Windows.